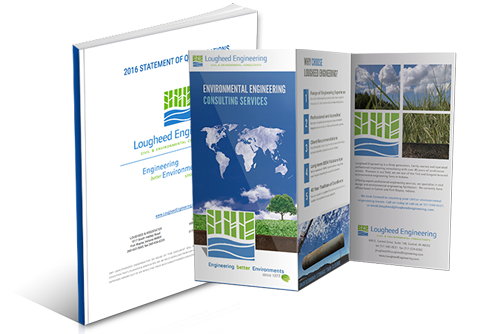 For over 30 years, Lougheed & Associates has been a family owned and operated business finding a niche in professional engineering and consulting services by specializing in civil design and environmental facilitation. Founded in 1977 in Fort Wayne, Indiana, we are the first and longest tenured Environmental Engineering Company based in Northeastern Indiana. We currently have offices based in Indianapolis (Carmel), Indiana and Fort Wayne, Indiana. Our team of professional engineers tackle a wide variety of multi-disciplinary issues for a diverse range of projects. We provide conscientious and competent engineering and inspection services at a competitive price. With our quality-driven commitment to excellence, our entrepreneurial business acumen and our insistence on innovations we help our clients achieve or exceed their goals. Our technical consulting and engineering services have been sought out in thousands of civil, commercial and industrial projects. Our services are delivered to the private industry, real estate agents, developers and investors, banks and loan financiers, property insurance adjusters, environmental lawyers, and public sector clients. Our Environmental Department has extensive experience developing Phase I Environmental Site Assessments (ESAs) prior to the acquisition, sale or divestiture of industrial and commercial real estate. Our specialized services extend to soil and groundwater sampling for Phase II Site Characterization and skilled remediation strategy selection and design for Phase III Correction Action. The full spectrum of services the we provide in the environmental field include: soil testing and lithology, groundwater and drinking water analysis, groundwater pump and treat remediation systems, chemical and biological remediation injections, underground storage tanks (UST) removal with closure report activities, hazardous waste disposal, landfill permitting, soil erosion control, industrial facility compliance for storm water pollution prevention plans (SWPPPs) and spill prevention control and countermeasure (SPCC) plans. The civil engineering services that we offer include commercial site plan development, road design, utility extensions, soil erosion control plans, storm water inflow analysis, detention pond design wastewater treatment design, septic systems, construction specifications and residential subdivision layout design. 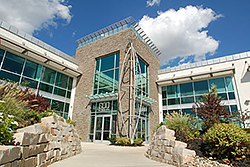 We've moved to a great new location at 600 E. Carmel Drive, Suite 168, Carmel, IN 46032. Come visit us, parking is free. Click here for maps, locations, contacts. Visit the new download area for access to our brochures and statement of qualifications.